Lined writing paper by Kidznote® multi color - landscape mode 300 DPI formatted to print on 8½ x 11 paper Extra wide ruled (.61 inches approximately 15.93 mm) PDF format and can be downloaded immediately after purchase. 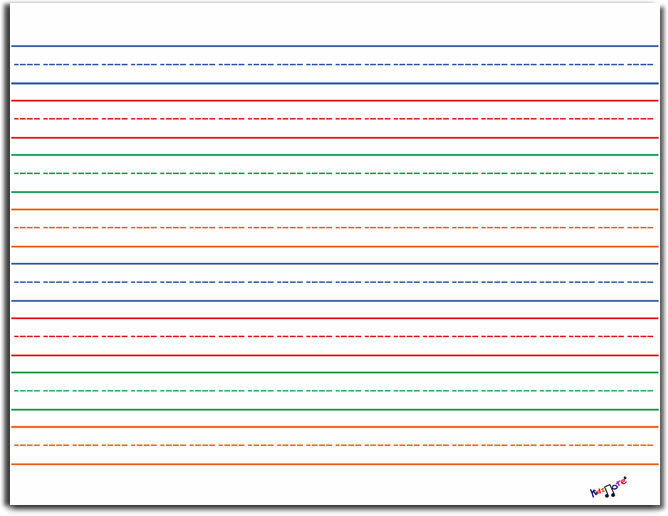 Lined writing paper by Kidznote® - multi color - landscape - 300 DPI formatted to print on 8½ x 11 paper. Extra wide ruled (.61 inches approximately 15.93 mm) to give preschool, kindergarten, elementary, and home schooled kids, plenty of space to practice their writing skills. Lined writing paper is a digital download in PDF format and can be downloaded immediately after purchase.